I decided to make four blocks from a pattern in Elizabeth Dackson'sBecoming a Confident Quilter book and turn them into a mini quilt. 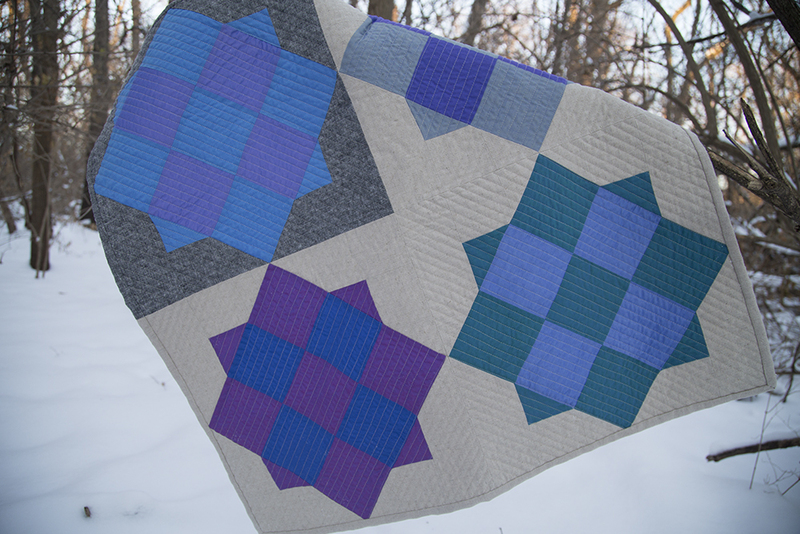 Not too mini, as the blocks are 17" squares. I paired the Oakshott Cottons with some linen. Because I wanted to keep things interesting, I made one block with the Essex Linen black background. I really love these colors. They remind me of the Amish community. For the backing I used strips of additional Oakshotts and Essex linen. I quilted this with straight lines, that radiate in a "V" shape on each side. It was my first time quilting this pattern, so I am trying not to be overly critical of myself. I did get better as I went. 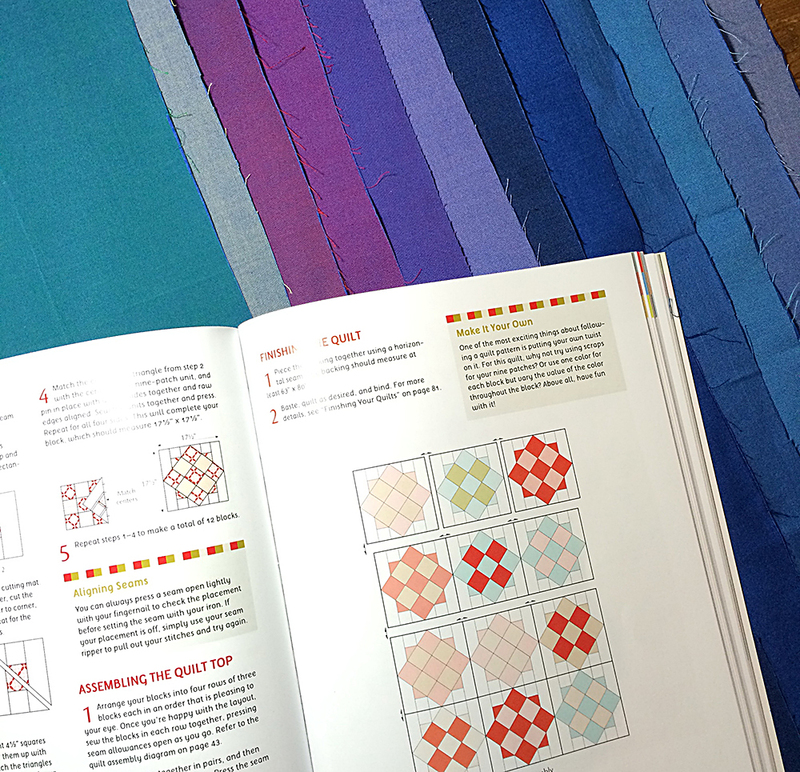 I also wanted the binding to blend with the front, so I matched the binding color to the background color in each block. It was great working with Oakshotts again. I know they are a bit pricey but they are definitely something special. Elizabeth's pattern was also wonderful. Perfect for beginners on up and I love the modern-traditional look of the design. Update! You can find Oakshott cottons in the US at Contemporary Cloth.